In my studio, I teach students with a wide range of ages, skill levels, and musical interests. I am dedicated to maintaining a comfortable and safe environment in my classroom, and I aim to teach vocal function first and foremost. I approach all lessons with an open mind and with great respect for each and every one of my students. Mallory Chipman is an innovative jazz vocalist, arranger, and composer based in Edmonton, Alberta. At an early age, Mallory was drawn to the beautiful world of lyrics and harmony, so she began studying voice, piano, and musical theatre. As she grew older, she explored numerous genres, ranging from classical opera to blues-rock, but found that her calling was in jazz. Mallory graduated with the Dean's Medal of Academic Excellence from MacEwan University with a Bachelor of Music in Jazz and Contemporary Music, and she learned an immeasurable amount there. Since then, she has put her performance and songwriting skills to work as a professional musician, frequently gigging in Edmonton and its surrounding area both as a solo vocalist, and as a member of various ensembles. 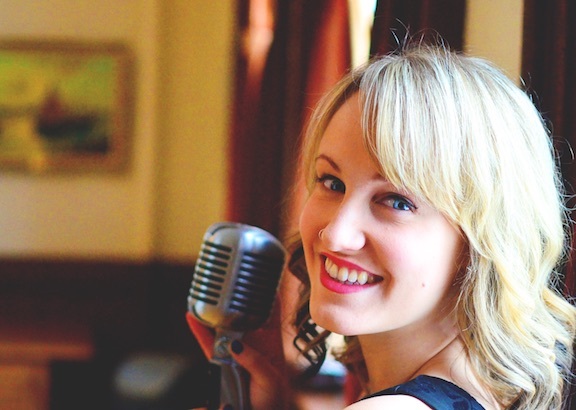 Some highlights from Mallory's career include performing in both the 2014 and 2015 TD Edmonton International Jazz Festival, singing back-up vocals for the legendary rock group, Heart, on their 2014 Rockin' Heavin tour, and travelling all the way to Dublin, Ireland to make her overseas debut at the 2014 International Leonard Cohen Event. Not only is Mallory a respected performer, but she is also a highly regarded voice, piano, and Kindermusik teacher. Mallory has completed levels I-III of training in Somatic Voicework - The LoVetri Method, and she is also a licensed Kindermusik educator. Somatic Voicework is a refreshing and innovative approach to singing. As someone who specializes in contemporary music, I am thrilled to have a tool that acknowledges contemporary music, and aligns with my beliefs and aspirations as a teacher.